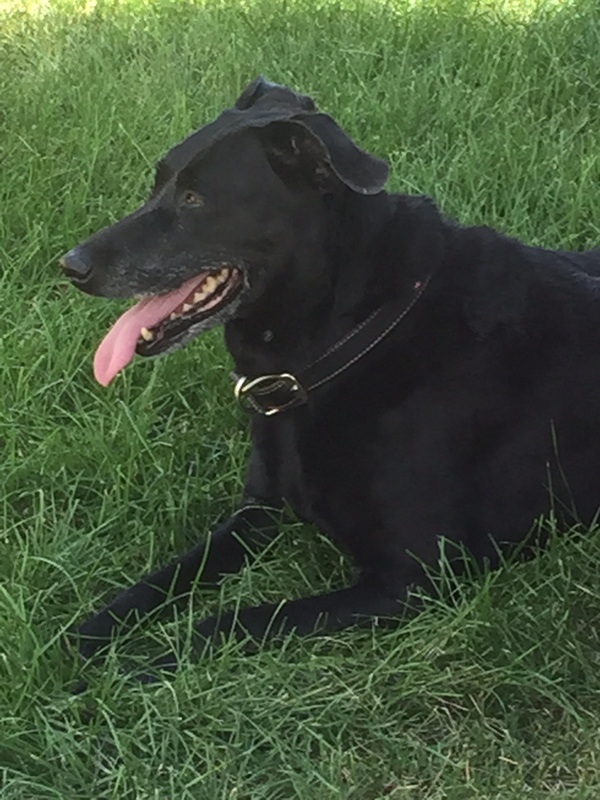 A few days after mom and I came home from Spalding Rehabilitation Hospital, Stevie, the black lab died. Stevie lived with Soapy Smith Duck and his mom for 14 1/2 years. Stevie joined us on many Colorado day trips. Stevie loved to romp and rest in our various parks. 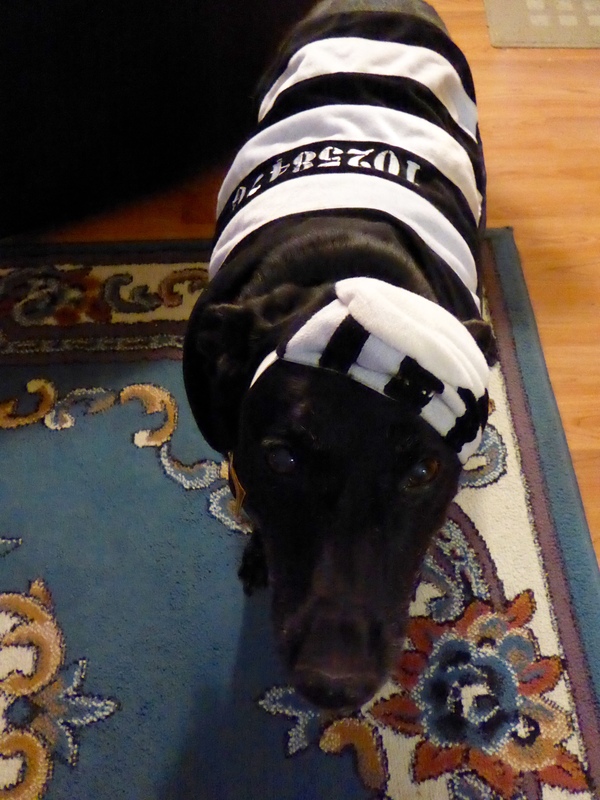 She came to my house on Halloween, often in costume. We would sit on the front porch handing out candy to trick or treaters. All the kids loved her. 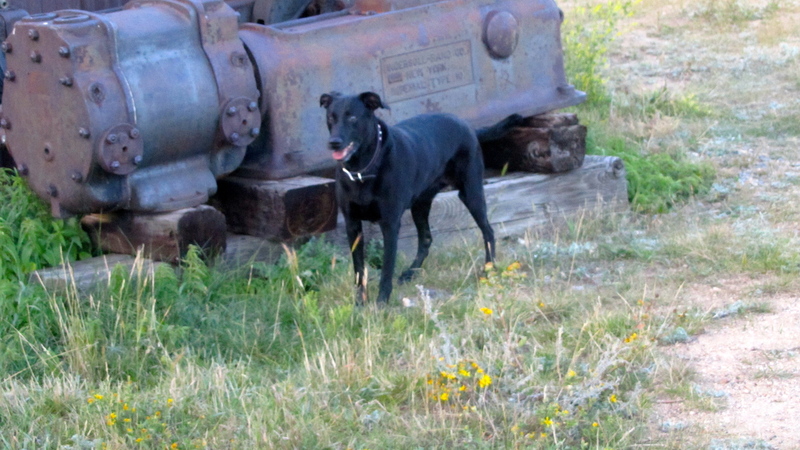 Stevie went with us to Central City, an old Colorado mining town and seemed to like the old equipment. 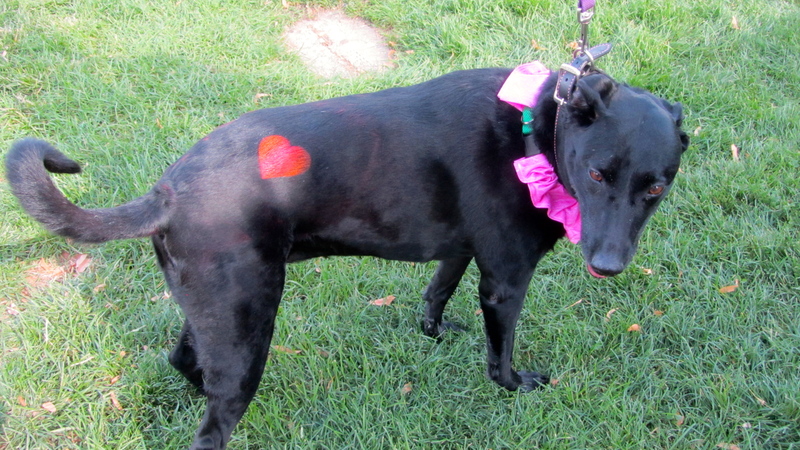 One summer we went to Woof Fest in Denver’s City Park. She was proud of her tattoo and tolerated her ruffled collar. 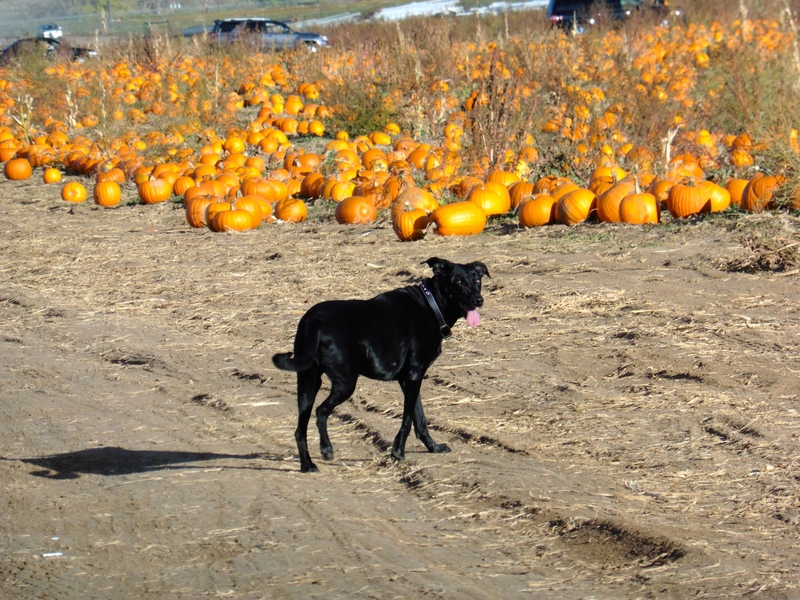 In the fall, she picked out a pumpkin at a local pumpkin patch. 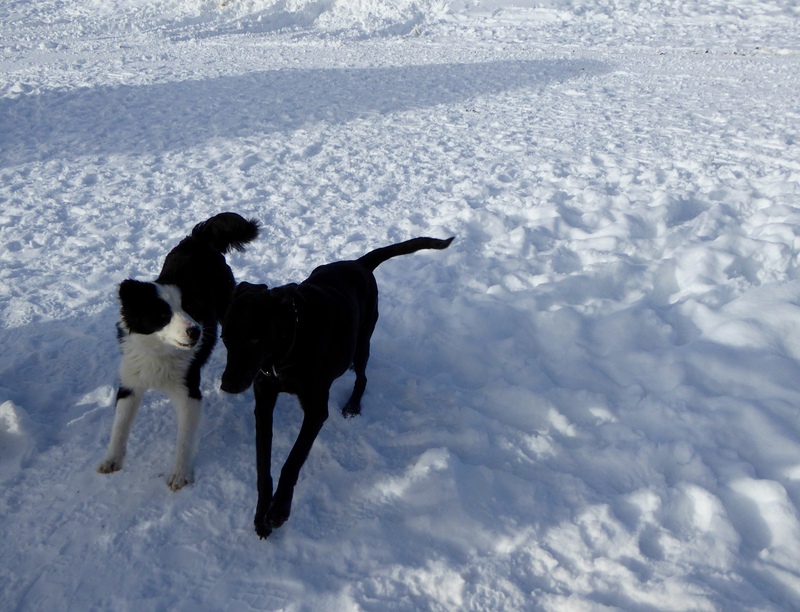 This past January we were in Winter Park for a sleigh ride. After the ride Stevie and her new friend, Chip, played. One day at Echo Lake, near the entrance to Mount Evans, Stevie gave me, Zeb the Duck, a ride along the lake shore. 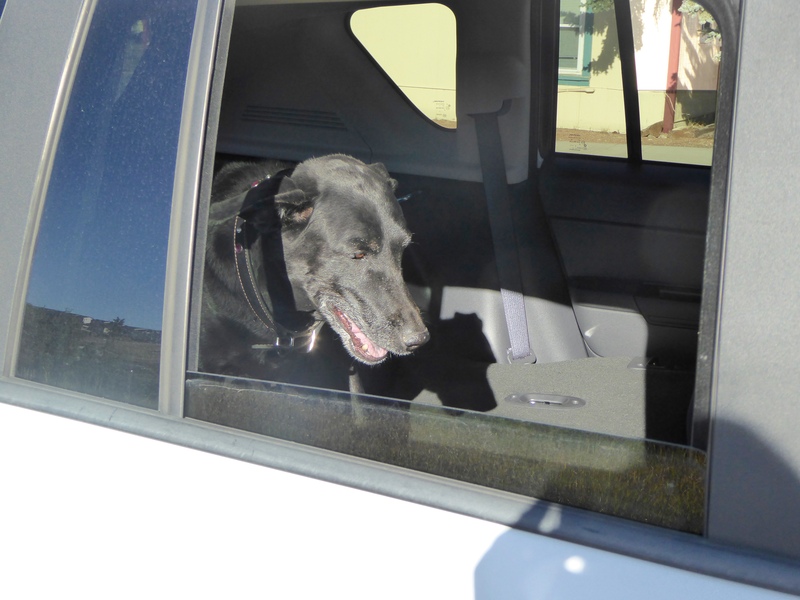 Our Stevie was always ready to go for a car ride. She traveled all over Colorado and even enjoyed trips to northern Minnesota to frolic on the shoreline of Lake Superior. Stevie, we miss you and will always remember and love you. You, our friends that have loved and lost dear pets, know exactly how we feel. 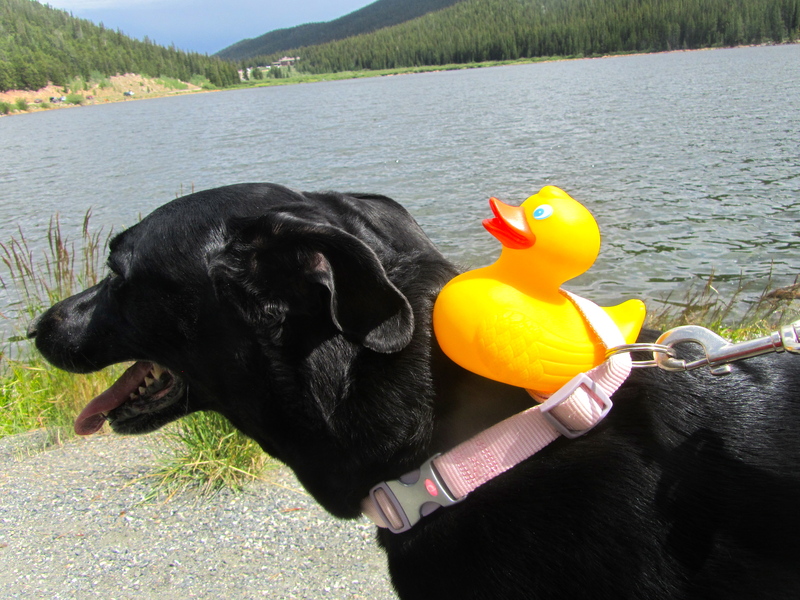 This entry was posted in Uncategorized and tagged Colorado Traveling Ducks, Our black lab, Stevie. Bookmark the permalink. It’s always difficult to lose a pet. Luckily you have wonderful memories. We do have great memories and many photos. She was such a part of our lives and local trips. Thanks for commenting.